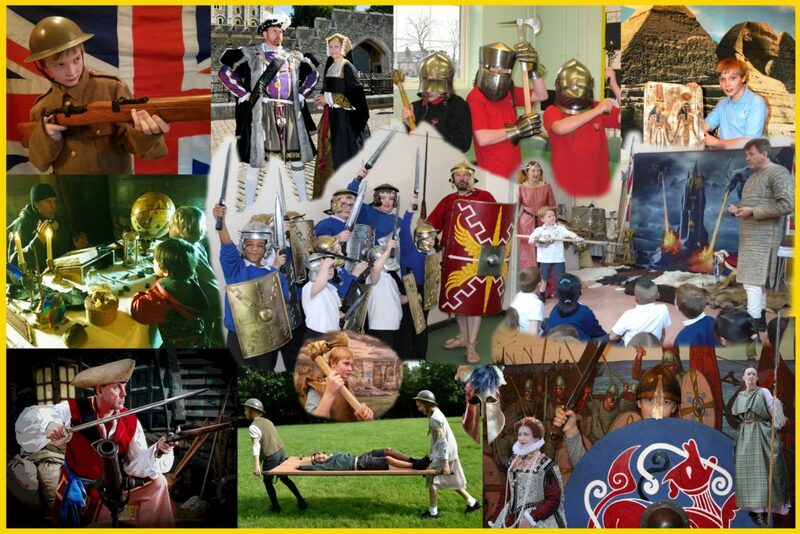 Black Knight Historical deliver professional, full day, school workshops to all types of educational establishments. Designed for all Key Stages of the National Curriculum, we have developed a range of school workshops to enhance your teaching of historical subjects. We are extremely flexible and inter-curricular, bringing Mathematics, English, Geography, Music, Dance, Art, R.E. and Science into the students minds as appropriate for each session. Dressing up in costume is encouraged for the students which helps to make the study day even more special. Below are some of the school activities on offer across most eras and themes. If its not listed, please ask anyway! Please contact us in the first instance for a no-obligation chat, availability and pricing.